Real estate has never seen a man cave quite like this one. 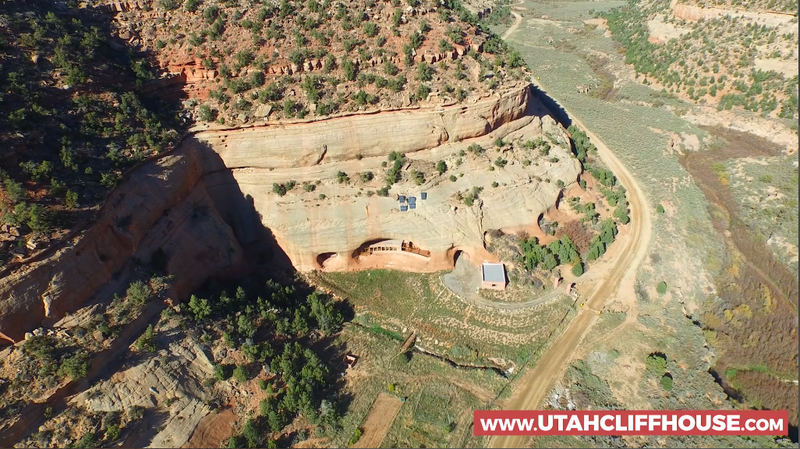 Nestled into a Southeastern Utah mountain, 850 Montezuma Canyon features rock-solid engineering; 2,100 square feet; three bedrooms; and a cliff perch overlooking 52 acres. And the architectural marvel is for sale: Bids will be accepted until 11:59 p.m. on Friday, January 20, 2017, and an auction will take place the next day. The rarity is the brainchild of owner Phil Houghton, who spent years as a teenager exploring Southeastern Utah and later worked in the mines, and now lives there with his wife. To build Cliff Haven, the owners blasted a wedge into the canyon and set the house inside. Source: UtahCliffHouse.com. Houghton also blasted a tunnel behind the home to drain any water away from the property, an addition that also serves as a fire escape and source of cool, clean air. With a vineyard, vegetable garden and a mature orchard that produces apples, peaches, cherries, plums and apricots depending on the season, the Houghtons “are ready to let someone else be stewards of the land and build on what they’ve already created here,” according to the listing description. While the cavemen roll over in their graves with envy, the property will offer the new owners a rich history. The Anasazi (“Ancient Ones”), thought to be ancestors of the modern Pueblo Indians, originally found home here long ago, evidenced by the arrow heads, pottery and other artifacts dating more than 1,000 years old that remain sprinkled across the land like prizes. 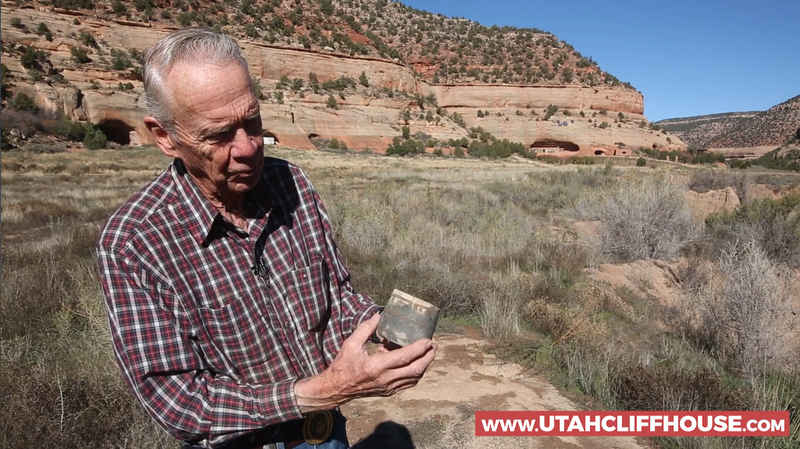 Owner Phil Houghton talks about an artifact on his land. Source: UtahCliffHouse.com. The house is driving distance from Arches National Park, Canyonlands, Lake Powell and Monument Valley. Unique properties are often ideal candidates for an auction sale because they can be difficult to value. 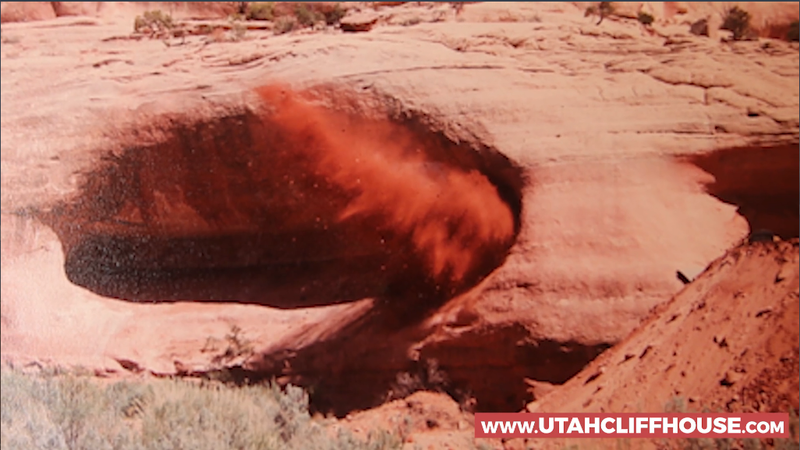 Cliff Haven is listed by Moab Premier Properties, an agency that serves the small city of Moab, Utah, and its “surrounding scenic land” with agents who are active outdoor enthusiasts, according to the website. Clearview Elite provided the custom-single property website, while Narr8 Media produced the video.